Politically, though, it’s another matter altogether. It can be seen in the red-blue maps after statewide elections, and it can be seen in this map from the Sacramento Bee of how California’s representatives voted on the health-care reform bill. Author JonathanPosted on 2010-03-23 Categories Local Interest, PoliticsLeave a comment on Which two Californias? I note, somewhat belatedly, that I’ve been blogging here since January 2005 (or November 2004, if you want to count a first experimental WordPress post). New British research suggests that there “is no evidence that children in smaller primary classes do better in maths or English”. School officials are considering “eliminating class size reductions” in kindergarten through third grade. That means that instead of one teacher for every 20 students there may be half again as many students crowded into the classroom. Superintendent Rob Gaskill says there may soon be as many as 32 young scholars in a classroom. There is universal agreement that such a change would have profound implications for the education of young students. …and our local school board, pushing for a local parcel tax, ranked class-size reduction near the bottom of a list of potential cost-cutting measures. Class-size reduction (CSR) is popular in California, especially with parents and teachers, but there’s no good evidence that it leads to better educational outcomes, at least not the way it’s implemented here. CSR in California typically means reducing K–3 classes from about 30 to 20 students. What sketchy evidence that exists for CSR benefits is limited to class sizes in the 12–15 range. That, and unsupported claims that it “stands to reason” that CSR is beneficial. CSR is expensive, and needs better justification than we’ve seen to date. I bought my monthly Caltrain pass yesterday. Along with a parking permit, it came to $189 (Caltrain charges by the zone; this happens to be zone 2 to zone 4). Taking the train saves me about 45 miles of driving per day, so to break even, if I take the train 20 days a month, driving would have to coast me 21¢/mile. I get about 30 mpg, so with gas around $3/gallon, that’s 10¢/mile, leaving 11¢ to account for. I won’t count insurance, since it’s not going to change whether I drive the extra miles or not. Likewise, my 1997 Civic already has 250,000 miles on it, so depreciation isn’t much of a factor any more. If I get 40,000 miles on a set of $400 tires, that’s only a penny a mile. I probably spend around $1000/year on maintenance and repairs (wild guess, but I’m religious about maintenance, and it’s an old car), so at 20,000 miles/year (long commute), that’s 5¢/mile. Doesn’t seem like that great a deal, does it? I’m a little surprised. Maybe I misplaced a decimal; somebody check my work. Caltrain commuters accustomed to facing long delays without warning will finally be able to check ahead and see if their train is running on schedule. Caltrain officials said this week they have reached a deal with a private vendor to install global positioning system trackers in their locomotives, and use the sensors to provide real-time delay information to riders. The expected arrival times of trains will appear at existing electronic signs at all station platforms from San Francisco to San Jose, on 511.org and by calling 511. The project should allow riders to determine ahead of time whether they should instead drive or take comparable routes such as BART north of Millbrae or Valley Transportation Authority light rail south of Palo Alto. The project will cost $1.8 million and is part of Caltrain’s $8.7 million initiative to install a new rail operations control system. The agency’s board of directors is expected to approve the contract Thursday, though it is unknown when the system will start running. Caltrain’s roughly 40,000 average weekday riders have grown frustrated over lack of access to official real-time delay information. Fed up, they took matters into their own hands in May 2008 by launching a Twitter feed with delay information that has attracted roughly 3,000 followers. In the meantime, the Twitter feed is useful. I’m packing to go home after a week in the Twin Cities area. Like California (and no doubt lots of other places), Minnesota has some great craft breweries. The big one is Summit, and I’m always happy to resample their IPA (or in a pinch, as at Broadway Pizza, a mandatory stop, EPA (though they were tapped out the other evening)). Furious — A tempest on the tongue, or a moment of pure hop bliss? Brewed with a dazzling blend of American hops and Scottish malt, this crimson-hued ale delivers waves of citrus, pine and caramel-toffee. 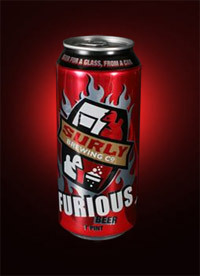 For those who favor flavor, Furious has the hop-fire your taste buds have been screeching for. It’s great stuff; don’t miss it. Surly sells their beers in 16-oz cans. Not a bad idea, but you may want to find a bigger glass. The cans come in four-packs, which stopped me (this time) from trying their Coffee Bender for breakfast. 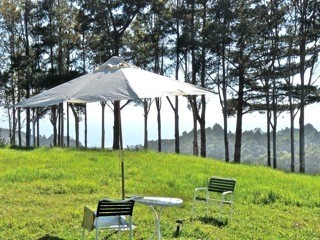 Next visit, maybe. Coffee Bender refreshes like an iced-coffee, is aromatic as a bag of whole beans as satisfies like your favorite beer. Utilizing the latest technology, the Surly brew team has developed a cold extraction process that results in intense coffee aromatics and flavor — bringing together two of our favorite beverages. Your only dilemma will be whether to finish your day or start it with a Coffee Bender. George Skelton in the LA Times. I heard Whitman’s obviously bogus ad the other day and didn’t get around to doing the arithmetic. This is going to be a depressing campaign. … Neither major party has a lock on truthfulness. I’ve written about false advertising by Republicans and Democrats alike for years. Now, in the very first series of radio ads in the 2010 gubernatorial race, comes blatant baloney from billionaire political novice Meg Whitman, the former chief executive of EBay who is running for the Republican nomination. Well, no, I did not know that. So I did some checking. “They’re completely wrong when they say that,” replied state Finance Director Mike Genest, a conservative former budget consultant for Senate Republicans. Well, so far so good… Click through to the NOAA article for a bigger version of the map. 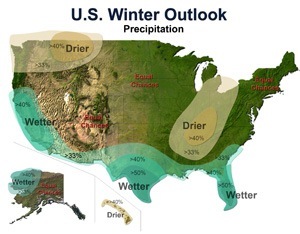 El Niño in the central and eastern equatorial Pacific Ocean is expected to be a dominant climate factor that will influence the December through February winter weather in the United States, according to the 2009 Winter Outlook released today by NOAA’s Climate Prediction Center. Such seasonal outlooks are part of NOAA’s suite of climate services. Most days, I ride Caltrain to work. Setting aside its insane policy (not entirely its fault) of cutting service and raising fares as a means of dealing with just about any problem, my main gripe is that it’s really hard to get any prompt information about service and schedule problems. This despite the installation a couple of years ago of a centralized electronic billboard system that ought to be able to provide this information to all platforms in real time. Well, technology to the rescue, just not Caltrain technology: Caltrain Tweets. The idea is this. Caltrain is full of passengers connected to the net (generally by mobile phone, since Caltrain has no wifi). Recruit those passengers as reporters, funnel the reports through Twitter (not forgetting the mobile-friendly version), and you’ve got a surprisingly effective real-time status system. To use the service passively, just bookmark the main or mobile Twitter feed; no need for a Twitter account. The mobile feed works fine on my Palm Centro, whose web browser isn’t exactly state of the art. To participate actively, visit the Caltrain Tweets and request a key that authorizes you to send your own messages (via email; again, no Twitter account required). (The key is a simple but effective measure to prevent spamming.) And next time you’re stuck on a late Caltrain (not all that common, but it happens), let the rest of us know; we’ll do the same for you. 511.org doesn’t even pretend to try. A snippet from a longer column. It’s no less worrying to us living here. … What’s really alarming about California, however, is the political system’s inability to rise to the occasion. Despite the economic slump, despite irresponsible policies that have doubled the state’s debt burden since Arnold Schwarzenegger became governor, California has immense human and financial resources. It should not be in fiscal crisis; it should not be on the verge of cutting essential public services and denying health coverage to almost a million children. But it is — and you have to wonder if California’s political paralysis foreshadows the future of the nation as a whole. Now this is pretty cool (and a little depressing for some of us). 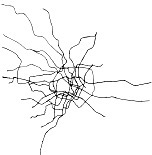 Neil Freeman has a nifty set of subway maps, all at the same scale, of a bunch of major cities. The contrast is striking. The change isn’t quite so dramatic as it appears at first glance (it’s based at 40%), but it’s dramatic enough. There are two relevant trends, say the Census Bureau. Increases in longevity — The average numbers of years of life remaining at age 30 increased about three years, comparing those age 30 in 1960 with baby boomers who turned 30 in 1980 (Table 11 [PDF], U.S. Life Tables, National Center for Health Statistics). As adults live longer, a larger proportion of married couple households will be those who are older and either childless, or whose adult children live elsewhere. In 1968, 29 percent of married men were age 55 and over, as were 22 percent of married women. In 2008, 38 percent of married men were 55 and over, as were 33 percent of married women. 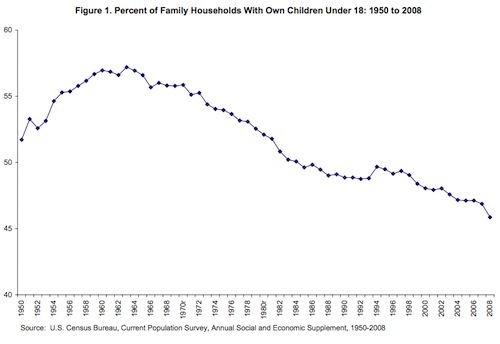 Increases in childlessness — The percentage of women age 40 to 44 who were childless increased from 10 percent in 1976 to 20 percent in 2006. (Supplemental Table 1 [Excel], U.S. Census Bureau). Our local school district’s enrollment has declined steadily since 1996; I figure there must be some relation. Of course, the percentages shown are of an increasing population, so again the absolute numbers are less dramatic as well. Still. 80° on the coast today. The horizon, sharp in the morning, has gone all hazy. Where’s that G&T, Jeeves? 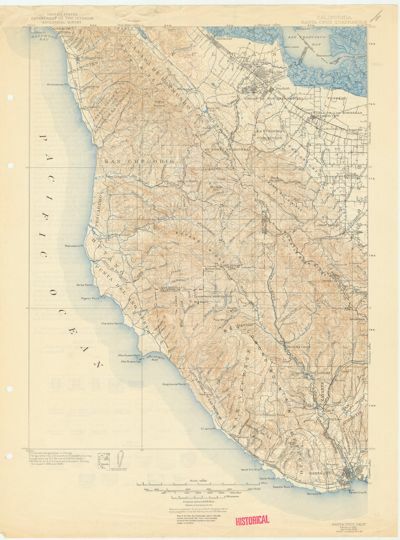 The USGS has a nice collection of scanned historical maps of the San Francisco Bay Area. Here’s the one I was after, a c1902 map of the area where I now live. 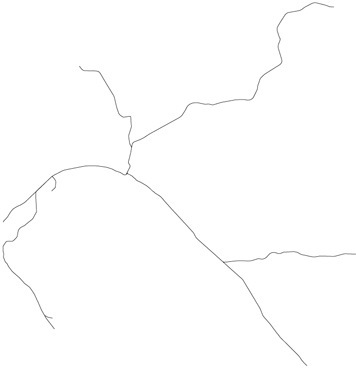 These maps are available in medium-resolution JPEGs (this one at 1600×2161) and higher-resolution MrSID files (this one at 6614×8933). Mac users can use a free plugin for GraphicConverter to view and convert MrSID files. Should the Fed have popped the housing bubble? The FRBSF’s Kevin Lansing wonders, and concludes with a rather noncommittal “further research is needed”; “unsatisfying”, says Mark Thoma. It seems to me that Lansing’s actual views are clear enough, a little earlier in the Letter. Beyond the setting of short-term nominal interest rates, a broader view of monetary policy includes regulatory oversight of financial institutions. Throughout history, asset price bubbles have typically coincided with outbreaks of fraud and scandal, followed by calls for more regulation once the bubble has burst (see Gerding 2006). Recent bubble episodes are no different. If a goal of financial regulation is to prevent fraud, and as history attests, asset price bubbles are typically associated with fraud, then one could argue that financial regulators at central banks should strive to prevent bubbles. According to Mishkin (2008), financial regulators at central banks may have a greater likelihood of identifying a credit-fueled bubble in real time because “they might have information that lenders have weakened their underwriting standards and that credit extension is rising at abnormally high rates.” He argues that “financial developments might then lead policymakers to consider implementing policies to…help reduce the magnitude of the bubble.” During the recent housing bubble, underwriting standards were weakened and credit extension did rise at abnormally high rates, resulting in rapid growth of subprime mortgage lending. In the aftermath of the burst housing bubble, financial regulators are now taking steps to strengthen the integrity of underwriting, appraisal, and credit-rating procedures. Author JonathanPosted on 2008-11-13 2008-11-17 Categories Economics, Local InterestLeave a comment on Should the Fed have popped the housing bubble? 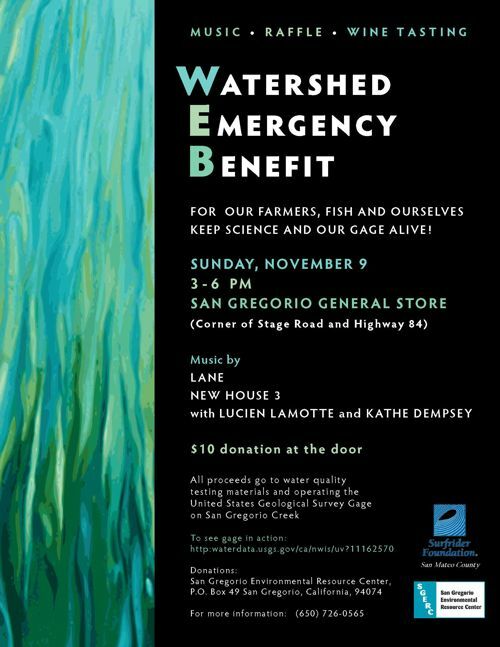 There’s always a good reason to visit the San Gregorio General Store, especially on a weekend, but this Sunday there’s a better reason than usual. SGERC does a terrific job of stream monitoring on the San Mateo County coastside, and they can use all our support. 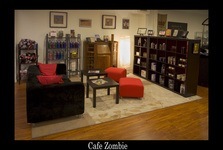 Brother Don and Friend Gillian, proprietors of the online runners’ supply (among other things) store ZombieRunner, have opened a physical (offline?) store in the old Fine Arts theater on California Ave in Palo Alto CA (if you’re not familiar with the terrain, think Silicon Valley, Stanford, etc, and you’ll have the general idea). Go there for your running needs, certainly, but the reason I go (brotherly love aside) is the coffee, than which there is none better on the Peninsula. Truly. I know about this. You’ll find Don behind the espresso cart; say hi for me. Hours are noon–5, open till 8 on Thursday, 9–1 on Sunday. Check the ZR website for directions if you need them, and for any changes in hours. 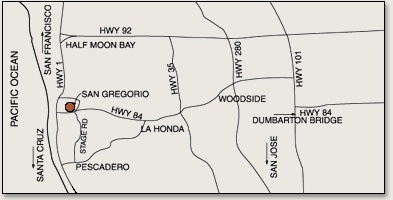 My local school district serves a Silicon Valley bedroom community on the Pacific coast. The district has been shrinking for the last decade, but beneath the steady shrinkage are some interesting demographic changes. I posted an article on the subject at Coastsider.com. Itamar Moses’ Bach at Leipzig is in repertory at Shakespeare Santa Cruz; I saw the matinee performance on Thursday. The NYT’s Charles Isherwood was not impressed in 2005. Sitting through Mr. Moses’ reverent attempt to mimic the brainy irreverence of Tom Stoppard is like being forced to consume glass after glass of flat Champagne, with no hope of giddy inebriation in the offing. Inundated with arcana about religious and musical squabbles in 18th-century Germany, besieged by sophomoric jokes, you leave stuffed and queasy but sadly sober. Two years later, the WaPo’s Celia Wren liked it a little better. In Moses’s historical riff, six musicians gathered in Germany are competing for a prestigious job: organist for the church known as the Thomaskirche, an audition that really occurred. As war brews between German states and highwaymen go on the rampage, the keyboardists — all named either Georg or Johann — devise byzantine schemes to top each other. With its wordplay, brainy allusions, bold swipes at history and virtuoso manipulation of artistic forms, “Bach at Leipzig,” astutely directed by Kasi Campbell, has a “look-Ma-no-hands” swagger that seems aimed at out-Stopparding Tom Stoppard. The entire first act, for instance, adopts the intricate structure of a fugue, a musical form at which Bach excelled. The movements and confrontations of the rival musicians suggest a pattern of contrapuntal voices, from the initial spat between free-thinking Johann Friedrich Fasch (Karl Kippola) and his sour conservative enemy, Georg Balthasar Schott (Bruce Nelson), down to the late arrival of the insecure celebrity Johann Christoph Graupner (David Marks). Well, I liked it a lot more. This is not Art Manke’s first shot at directing this play, and his experience shows. The cast and acting are terrific; Larry Paulsen’s Schott is especially wonderful. Go see Bach at Leipzig; you won’t regret it. I’m looking forward to the rest of the season. I wrote a piece over at Coastsider.com on what is, in the event, a rather minor agenda item from the last meeting of our local school board. The district’s middle school has reached the final stages of NCLB’s “Program Improvement” (that’s what California calls it; I think the Feds say “School Improvement”). Having failed to made “Adequate Yearly Progress” for six years running, the school was due for “major restructuring” of its governance. In California, that means creating Yet Another Committee, and business pretty much as usual. That’s not all bad, but it’s a missed opportunity. Read the whole thing. In mathematics you don't understand things. You just get used to them.